A little update on this project since I know Frank was also interested in it. It's been running pretty great since I got it up and running in mid June. I was noticing a bit of overshoot in my temps if I let the machine stay on for a while. I have a setpoint of 105C and was seeing it creep up to almost 110C. 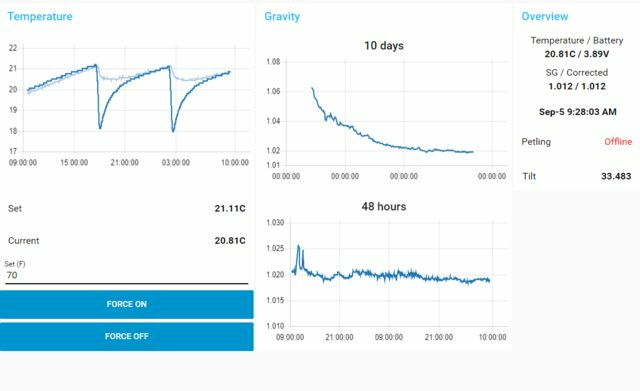 I decided to take some time this weekend to tweak the PID settings and things are pretty rock solid now staying within +/- 1C of setpoint. This particular model has an aluminum boiler with 2 x 700 watt heating elements on the sides and holds a whopping 80ml (2.7 ounces) of water. I had the PID PWM window set to 3500 ms (3.5 seconds) and through trial and error I wound up dropping that down to 500ms (0.5 seconds). Even at 500ms, the PID output is only at around 4-6% to maintain the setpoint. That's only 20ms of power every half a second! I'd really like to be able to monitor the actual water temperature inside of the boiler, rather than the temperature of the boiler housing, since that's what the thermocouple is threaded into. Did some more tweaking and realized the PWM window didn't make as big of a difference as I first thought. 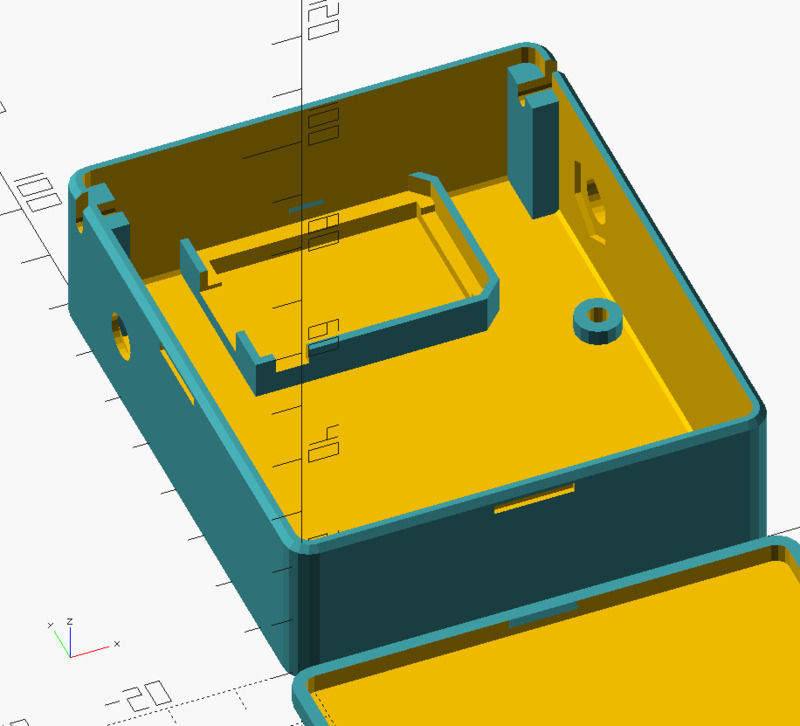 Tweaking the PID values made the biggest difference. This is a 30 minute graph starting from cold. It takes about 15 minutes for the temps to fully stabilize. Overall things are quite stable and I'm quite happy with it. I wanted to be able to change the setpoint as well as be able to turn the unit on from my bed when I wake up, so I picked up a couple of Wemos D1 Mini units that are based on the ESP8266 platform. The single analog input on the D1 Mini will work just fine for this project. 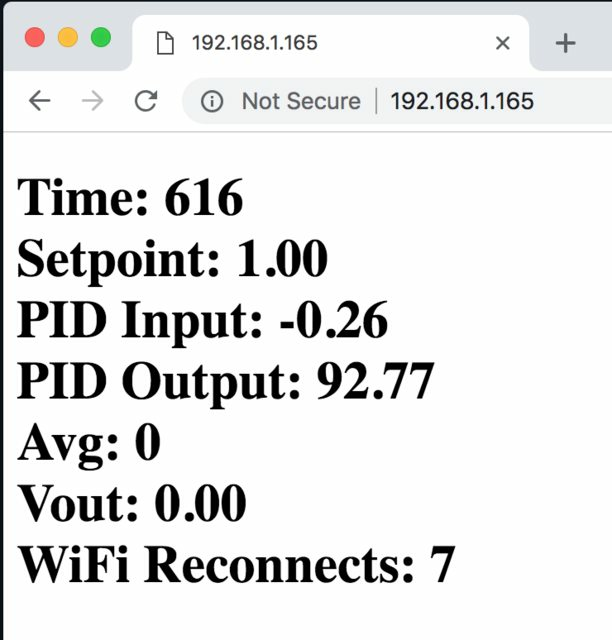 I am finding the WiFi connectivity to be a bit finicky, so I've had to include wifi reconnect routine even though they are supposed to auto reconnect on their own. Right now I've got a simple web page showing me the PID stats and some other information. The next step will be to control things like the operational mode and the setpoint. Being able to push new firmware to it over wifi is also super convenient. For $6 Canadian, this is a pretty cool device. Last edited by Steve_M; 10-02-2018 at 01:03 PM. 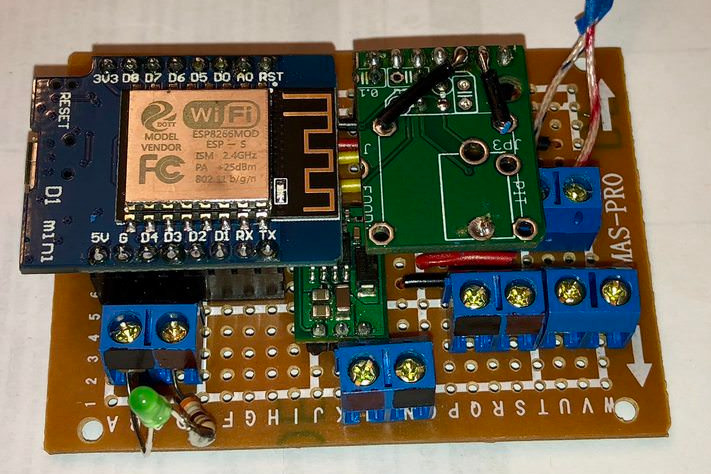 I use a ton of ESP8266 around the house myself. They're so dirt cheap and have plenty of flash space to store the firmware and also create SPIFFS for storing webpages and config files. There's also some RAM in the RTC that allows you to store data across reboots but not "permanently" in flash. The Wemos D1 Mini is the perfect blend of big enough to bring out all the pins and have USB support, but not so big that it is bigger than the project itself. I've had pretty good luck with them staying connected to wifi, although I mostly use frameworks for my projects because I want them to connect to MQTT. Sonoff-Tasmota is pretty great for things that need on/off control. ESP-Link (created originally by JCW, the jeenode guy) is flipping amazing for linking things to atmega-based serial projects. 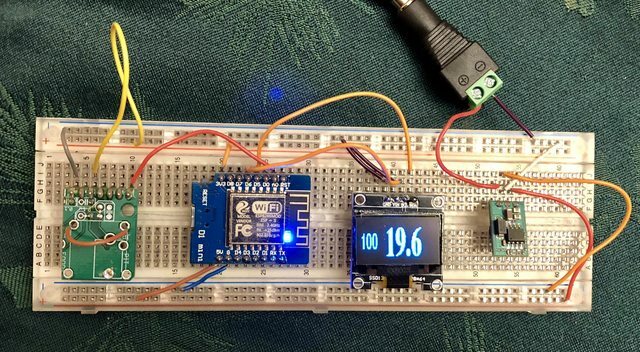 There's an Arduino library that simplifies communication from the ESP to the atmega so the mega can publish and subscribe to MQTT transparently, and there are template-based custom web pages on the ESP that are dynamically filled with data from the mega. It also has a serial console for lazy people like me. 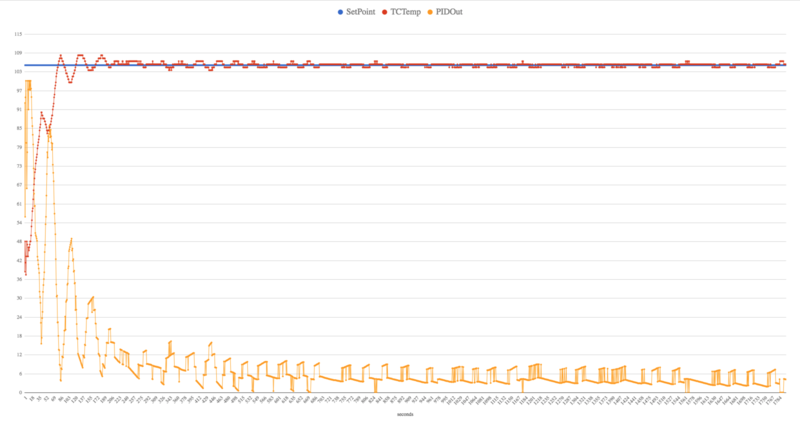 It looks like my wifi issues were related to the watchdog timer on the esp8266. I added the esp8266 wifi bits to my existing arduino code and expected it to run. It kept resetting due to the watchdog timer. I had to sprinkle a couple of delay(1) calls into the code even though I’m not really doing any blocking operations. Ran into another "gotcha" with the ESP8266. When I hooked up my franken thermocouple amp (seen here) I was seeing about 15C for room temperature instead of about 20C. 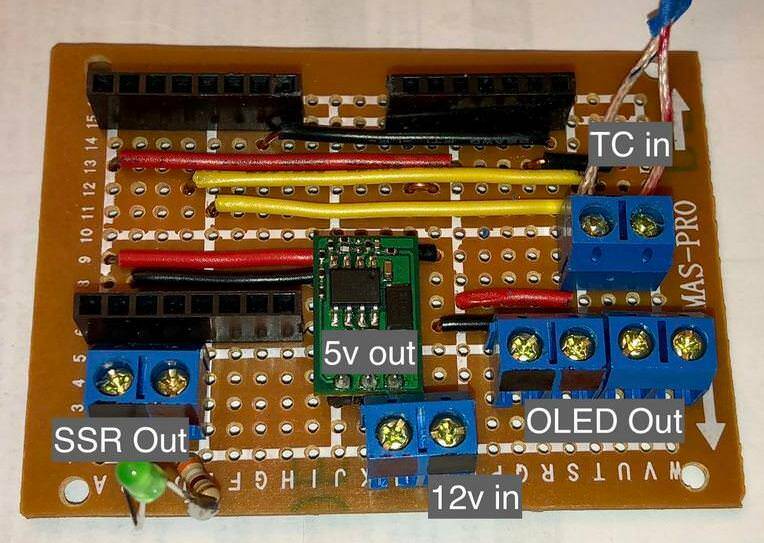 The output from the TC amp was ok when not connected to anything, but when I connected it to the Wemos, the voltage would drop. On my TC amp, I had left the original heatermeter RC circuit in place ( 100K + 0.1u ) so the 100K resistor was adding to 220K on the input, reducing my input voltage by almost 25%. I removed the RC circuit from TC amp board and bridged the resistor pins with some solder and now I'm seeing accurate temps. It's always the little things! Last edited by Steve_M; 10-06-2018 at 08:42 AM. Haha nice troubleshooting! I did something similar on my "Petling" project which is a gyroscope/accelerometer with a DS18B20 for temperature sensing and a LiIon battery. In the interest of using as little space as possible, I replaced the onboard resistor on the WeMo board to bring the battery voltage down to the ESP8266 limit (and soldered the capacitor to the far side of the resistor). 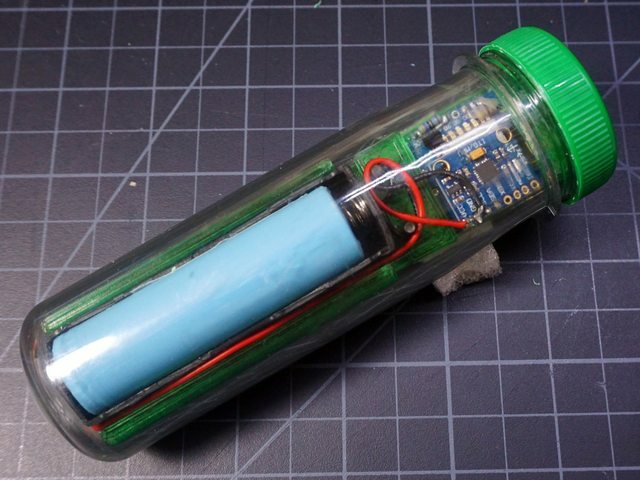 Drop that sucker into a fermenter and bingo, instant digital hydrometer with wifi. I didn't bother taking the 3.3V regulator off the WeMo module so the battery only lasts about a month even sleeping 3 minutes between readings, but that's plenty for a beer fermentation. Well, I finally finished the hardware side. Now I have to get up to speed on AJAX and jquery so I can make a decent looking web interface. Last edited by Steve_M; 10-07-2018 at 07:53 PM. That is very cool Bryan if only my wife still let me brew. Got out of control when I built a keezer and half the street would I line up every weekend at my house.